With a fabulous flavor and texture, these authentic falafel are not only highly nutritious, they’re incredibly delicious! Naturally vegetarian, vegan and gluten free. 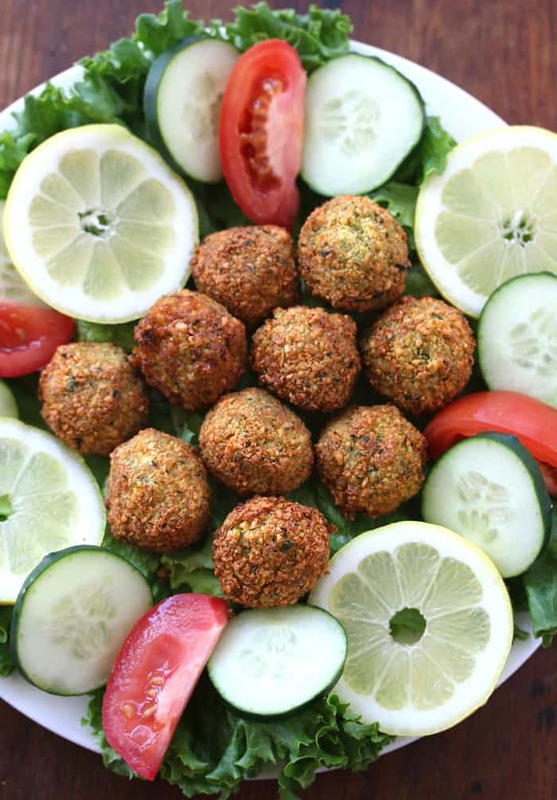 If you’re not already familiar with falafel, it’s time you become acquainted. 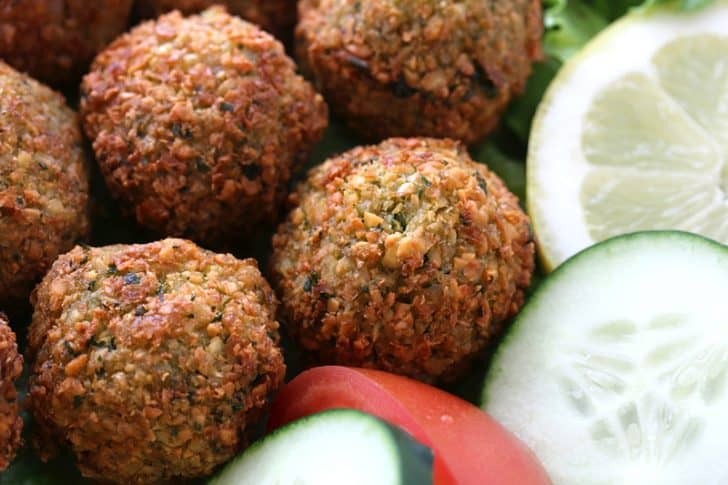 There is a reason why falafel has been a favorite throughout Jewish and Muslim communities across the globe for centuries – the moment you try them you’ll be hooked! These fried chickpea balls have a wonderful texture and fantastic flavor. The toasted cumin and coriander a smoky flavor that is irresistible combined with the fresh cilantro, parsley, garlic and lemon zest. And if you want to really make these falafel sing, add some chopped homemade preserved lemon. 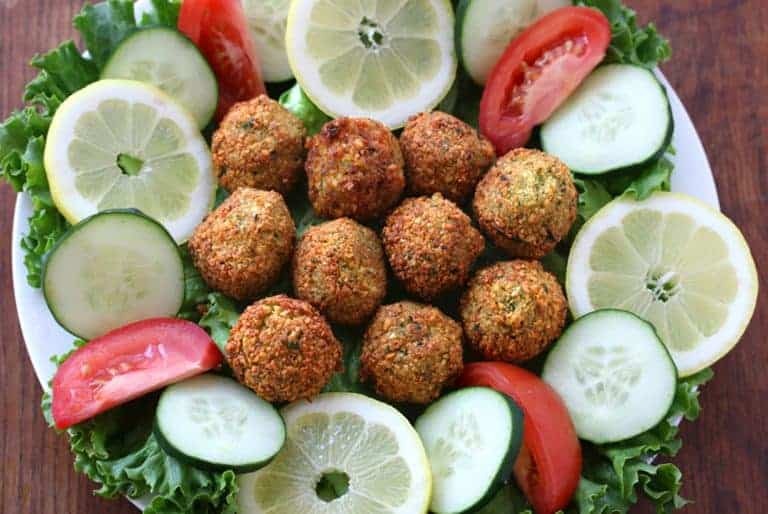 Falafel are not only delicious and filling, they’re very wholesome and nutritious. They’re also naturally vegetarian, vegan and gluten free. 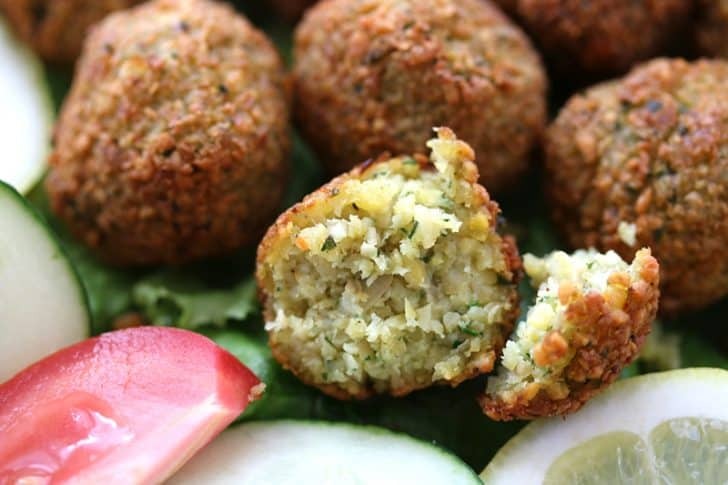 As to the origin of falafel, the debate continues. 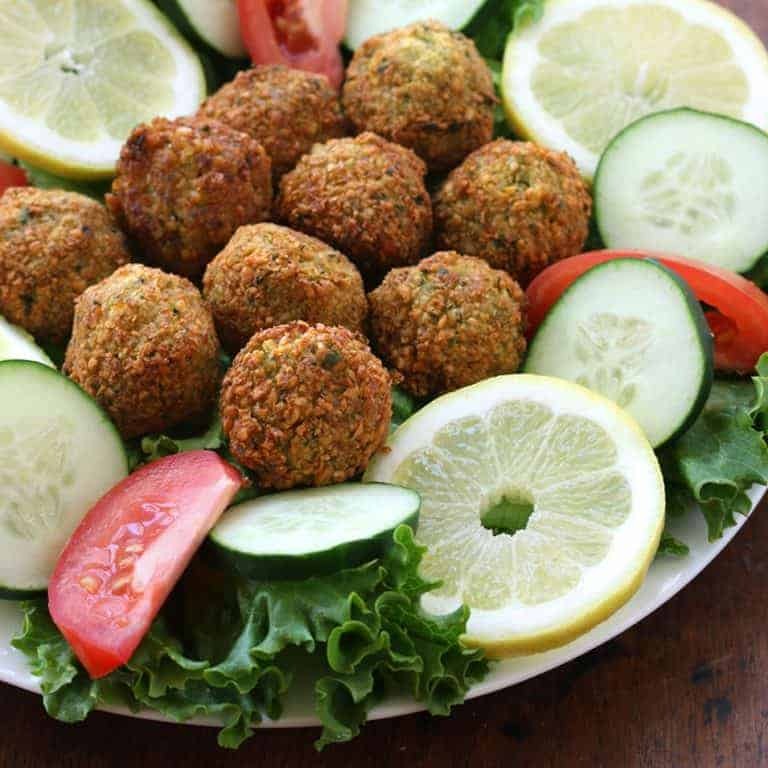 Some historians believe that falafel originated in Egypt as far back as 400 AD among the Coptic Christians who, originally making it with fava beans and called ta’amiya, ate it as a meat replacement during Lent. 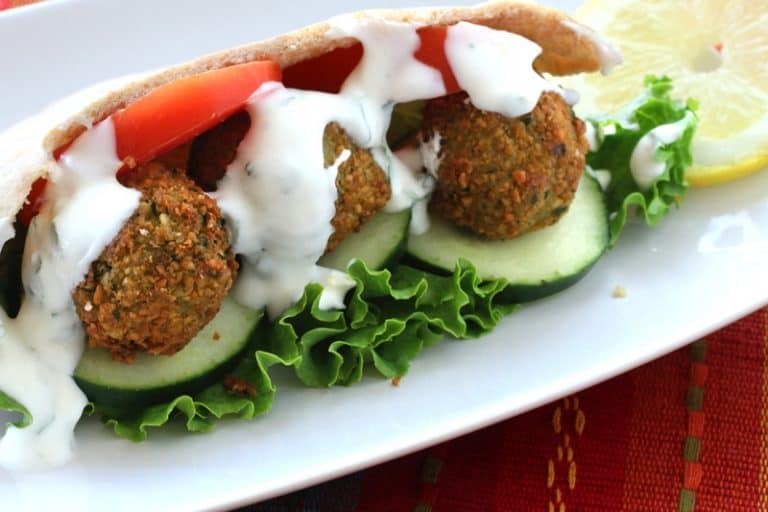 History suggests that the falafel originated in the city of Alexandria, the home of many Christian scholars and, because it was a port city, sailors took the falafel home with them and before long the falafel become a widespread popular food throughout the Middle East. I became a fan of falafel after sampling it many times during my travels throughout the Middle East. As a young adult I did a study abroad in Israel as a student at Brigham Young University Jerusalem. BYU’s stunningly beautiful campus is situated on the Mount of Olives overlooking the Old City. During my time there we toured all over Israel, stayed at a Kibbutz on the Sea of Galilee and visited Jordan and Egypt. 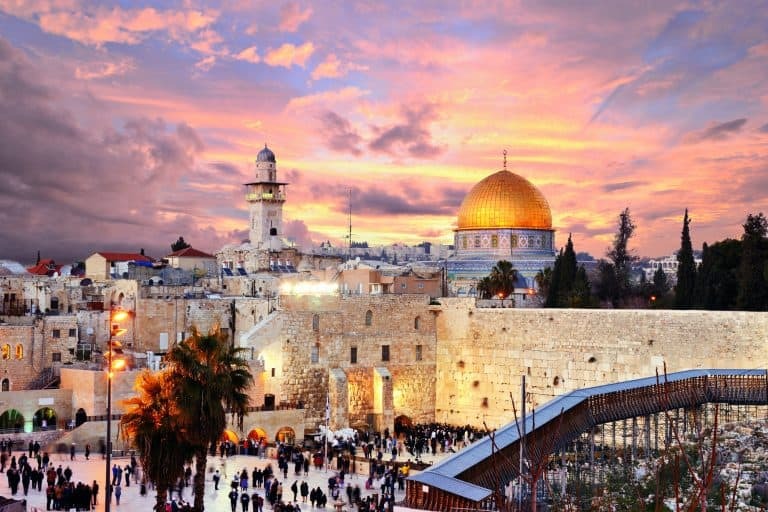 The bulk of our time was spent in Jerusalem itself and we spent a lot of time in both the Jewish and Arab sectors of the city and sat at the feet of both Jewish and Muslim professors. My time in Israel was one of the most profound experiences of my life. It was fascinating delving into the cultures around me. In addition to religious and Biblical studies, I took coursework in Jewish and Arab studies taught by experts in those areas. 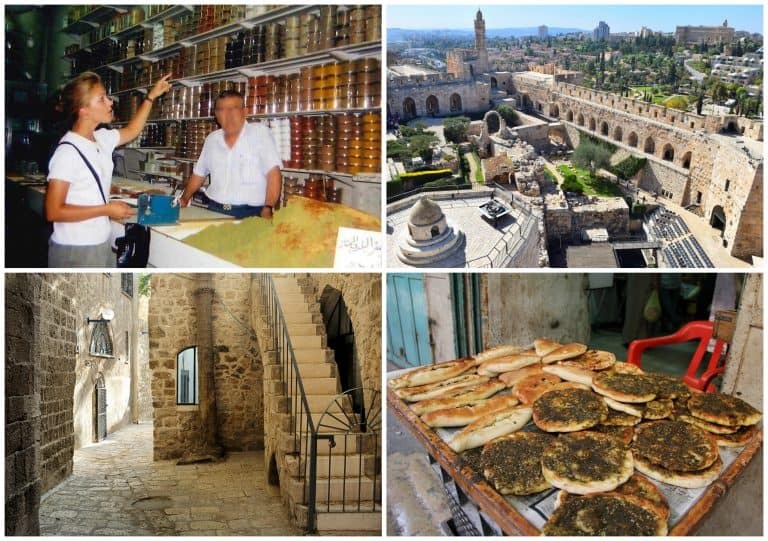 One of the highlights was experiencing both a Ramadan and Passover feast and learning firsthand about Israel’s cuisine, its differences and similarities. And though this land is divided on many fronts, when it comes to food it shares much in common. Today’s dish is one example. One of the things I immediately noticed was the prolific number of falafel stands in the Jewish and Arab sectors of the city! 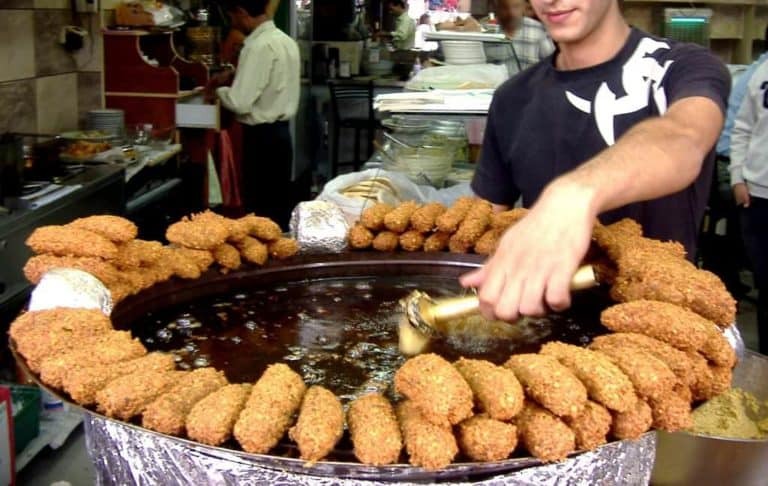 Just as McDonald’s, KFC and Burger King dot the Western landscapes, Israel boasts “fast food” falafel shops and street stands. It was great! Earlier in this post we briefly discussed what is believed to be origins of falafel. But it remains a heated debate and depending on who you talk to you’ll hear different versions of the story. Just as the Great Hummus War between Israel and Lebanon has never ended, so is the Falafel War ongoing. 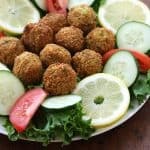 But falafel is a food that has become so widespread and popular, crossing multiple national and cultural boundaries, eaten and equally enjoyed by virtually everyone throughout the Middle East, embraced by many as their national dish, that it frankly really doesn’t matter where it originated. If there is one food that unifies an otherwise war-torn region of the world, it is falafel. That and its chickpea cousin, hummus, the two of which are inseparable and commonly eaten together. So if you haven’t already caught on to this popular and beloved dish, it’s time you do! First let’s talk about the chickpeas. In many dishes you can use either dried or canned chickpeas/garbanzo beans but in the case of falafel you must use dried chickpeas. Canned chickpeas are already cooked and for falafel we need raw, uncooked chickpeas. You don’t cook the chickpeas, you just want to soak them until they’ve expanded and then you grind them raw. It’s crucial to getting the right texture for your falafels. Let the chickpeas soak, covered by 3 inches, for 20-24 hours. It’s critical that the beans adequately soften otherwise they will not hold together when you fry them. 2 cups of dried chickpeas should expand to about 5 cups. Once they’ve soaked long enough thoroughly rinse and drain them. Next we’re going to make the spice mix. Heat a small, heavy skillet over medium-high heat and dry roast the whole cumin and whole coriander seeds just until they become very fragrant. Be careful not to scorch or burn them or they will be bitter. 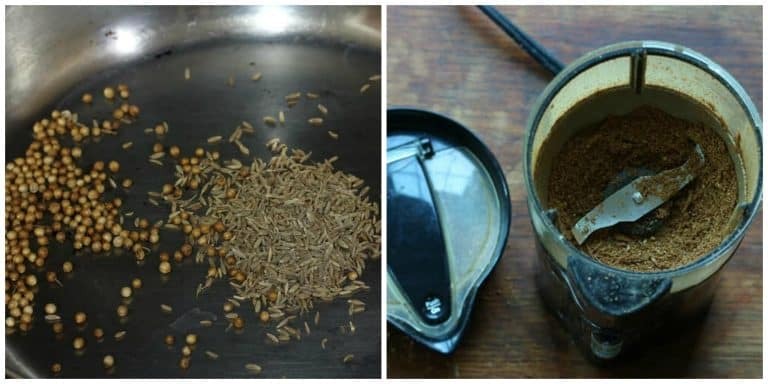 Let the spices cool completely and then grind them in a spice/coffee grinder or use a mortar and pestle. 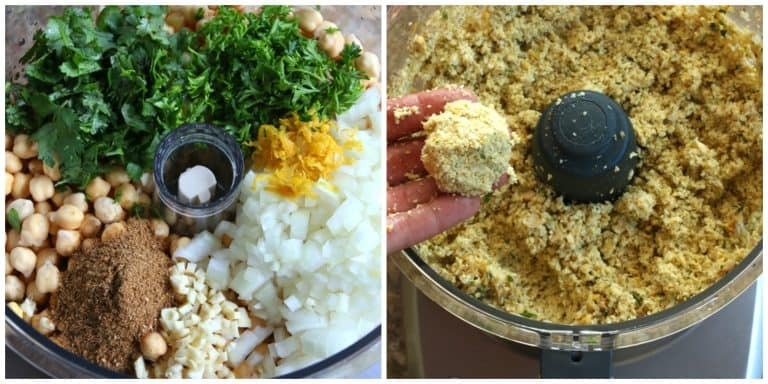 Add all the falafel ingredients into a large food processor. I use and love my Cuisinart Food Processor. Pulse the ingredients until well ground but not a smooth paste. Refrigerate for at least one hour. Form the falafels into roughly the size of golf balls. You’ll need to compress the mixture together firmly and carefully transfer the balls to a plate until ready to use. Keep in mind, they won’t have the texture of dough or hold together like dough. They’ll be pretty loose and delicate but will hold together well once they’re fried. Fill a heavy skillet about 1 1/2 to 2 inches deep with oil. 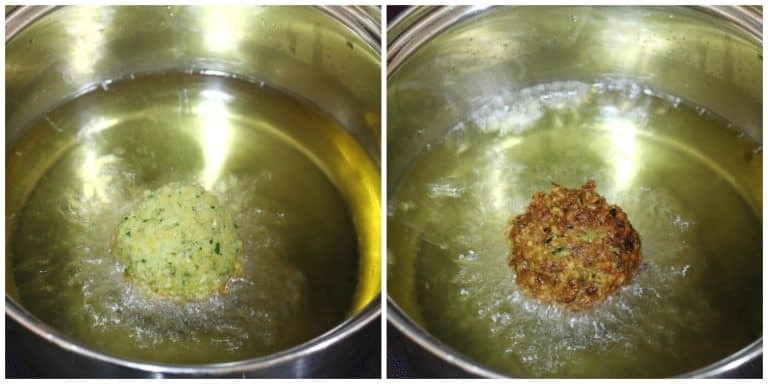 The temperature of the oil is key for frying falafel. They need to start sizzling immediately upon impact so they don’t become oil-logged and fall apart, but you also don’t want them to burn. I recommend using an instant-read thermometer to check the temperature. Aim for a temperature between 360 and 375 degrees F.
Fry the falafel until a rich golden brown, about 2 minutes on each side, carefully turning them over to fry the other side. Use a slotted spoon to remove them from the oil and set them on a plate lined with paper towels to drain. Note: It’s essential that you don’t overcrowd the falafel in the frying pan or they won’t brown properly. Keep them at least an inch apart from each other. Bring the oil up to the proper temperature before adding a second batch. Serve with some Homemade Creamy Hummus and a simple yogurt sauce or this wonderful homemade Preserved Lemon Cilantro Yogurt Sauce (you can also substitute fresh mint for a refreshing alternative). Falafel is also commonly served with tahini sauce, a sauce made from combining tahini paste with some garlic, lemon juice, water and salt. To enjoy a falafel pita, spread some hummus inside the pita, layer some lettuce, tomatoes, onions, pickles, and falafel – and anything else you’d like to throw in there! Then top it with some of the yogurt sauce and/or a drizzle of tahini sauce. With a fabulous flavor and texture, these authentic falafel are not only highly nutritious, they're incredibly delicious! Naturally vegetarian, vegan and gluten free. 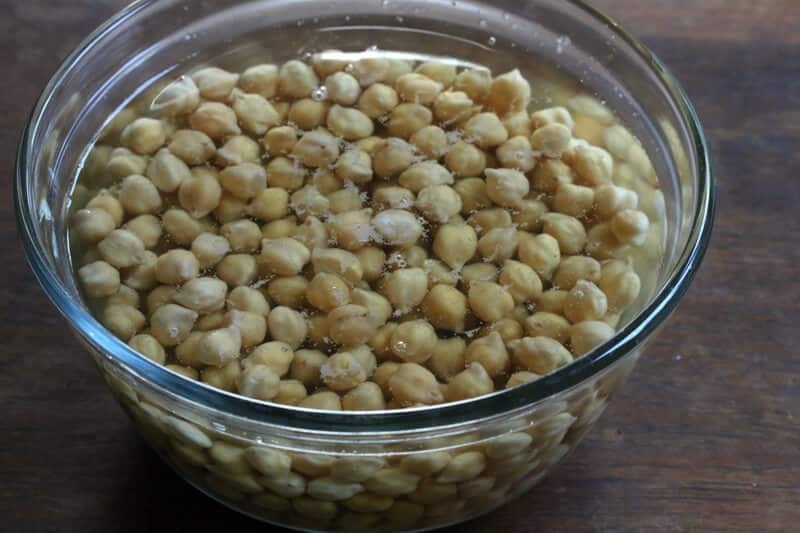 Place the garbanzo beans in a large bowl, cover them with 3 inches of water, cover and let them soak for 20-24 hours (they will expand to about 5 cups). Note: If the don't soak long enough the falafel will be crumbly and fall apart. Rinse and drain. Heat a small, heavy skillet over medium-high heat and dry roast the whole cumin and whole coriander seeds just until they become very fragrant. Be careful not to scorch or burn them or they will be bitter. Once fully cooled grind them in a coffee/spice grinder or mortar and pestle. Place the ground spices with all the falafel ingredients in a large food processor and pulse the ingredients until well ground but but not a smooth paste, it should be chunky (over-pulsing it will cause the falafel to fall apart). Refrigerate for at least one hour (this mixture can be prepared well in advance). The temperature of the oil is key for frying falafel. They need to start sizzling immediately upon impact so they don't become oil-logged and fall apart, but you also don't want them to burn. I recommend using an instant-read thermometer to check the temperature. 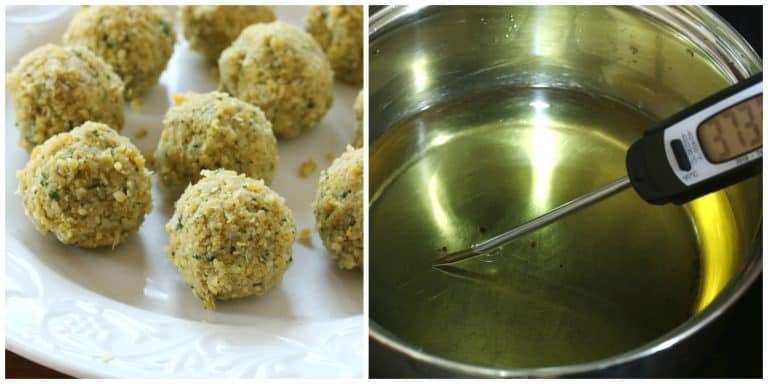 Aim for a temperature between 360 and 375 degrees F.
Once the oil is up to temperature, carefully place the falafel in the pan, a few at a time (don't overcrowd), leaving adequate space between them so they brown properly. (We recommend you try it with one falafel first to make sure the temperature is right.) Fry the falafel until a deep golden brown, about 2-3 minutes on each side, very carefully turning them over to fry the other side. Use a slotted spoon to remove them from the oil and set them on a plate lined with paper towels to drain. *Bring the oil up to the proper temperature before adding a second batch. For Serving: To make falafel pita, spread some homemade creamy hummus inside the pita, layer some lettuce, tomatoes, onions, pickles, and falafel - and anything else you'd like to throw in there! Then top it with some of the yogurt sauce (we recommend our Preserved Lemon Cilantro Sauce) and a drizzle of tahini sauce (see below). Falafel is also commonly served with tahini sauce, a sauce made from combining tahini paste (we recommend this Easy Homemade Tahini Paste) with some garlic, lemon juice, water and salt. I am so going to try this! Thank you for the recipe. I have to say, I read dozens of cooking blogs, and this is one of the most creative, original recipes I’ve seen in a long time. Homemade falafel–who’d have thought of that? Your photos make me want to go to the Middle East! Stunning! I love chick peas, but I have never had falafels. You have me inspired to try these! I love falafel but I’ve never dared to try and make it at home. This recipe looks super easy so I can’t wait to try it! Thanks for explaining all the steps so thoroughly – great recipe! I’ve never tried these, but they sound delicious! I will have to give them a try! They look like a crowd pleaser! This is one of my favorite comfort food meals to eat when I have dinner by myself. Just me, my wine and my falafel. Delicious recipe, thank you! I’ve never had falafel before, but this looks so amazing I just might try it! I can’t wait to try this! I love Falafel, but I have never tried to make my own! Thank you so much for this idea. The falafel is crunchy, supertender and moist inside… best ever! I want to grab these right from my screen! They look so good! 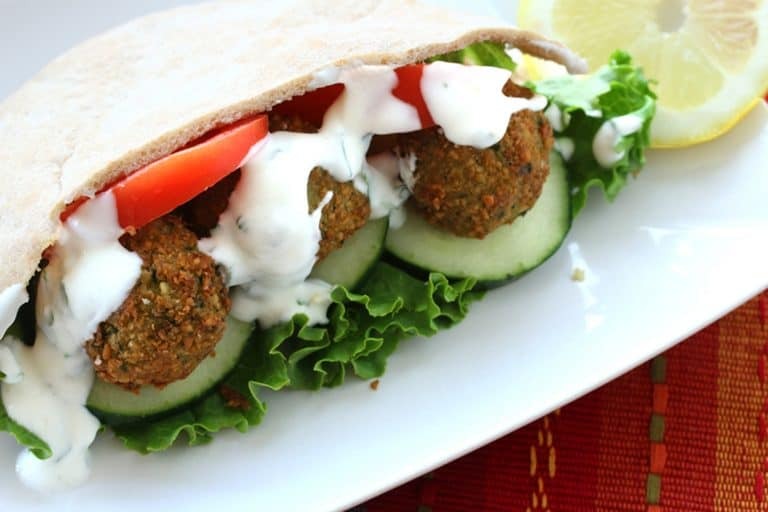 Falafel is one of my absolute favorites! I haven’t tried making it at home..definitely making this recipe soon! Nothing beats a good authentic dish. These falafels are making me drool. These have my name written all over them! They look so delicious! Do you think I could try air crisping the falafel in my Ninja Foodie? I was considering brushing them with oil and then air frying. That’s a good question, Pat. I’m not sure. Because these are made out of raw, uncooked garbanzo beans they really need to be thoroughly cooked in that hot oil and I’m not sure whether the air crisper will sufficiently cook them or not. I also don’t know if they will hold shape adequately without being fried in oil, I fear they might fall apart. If you do try it, let us know how it goes! Another hit! It’s so easy to make. Thank you. 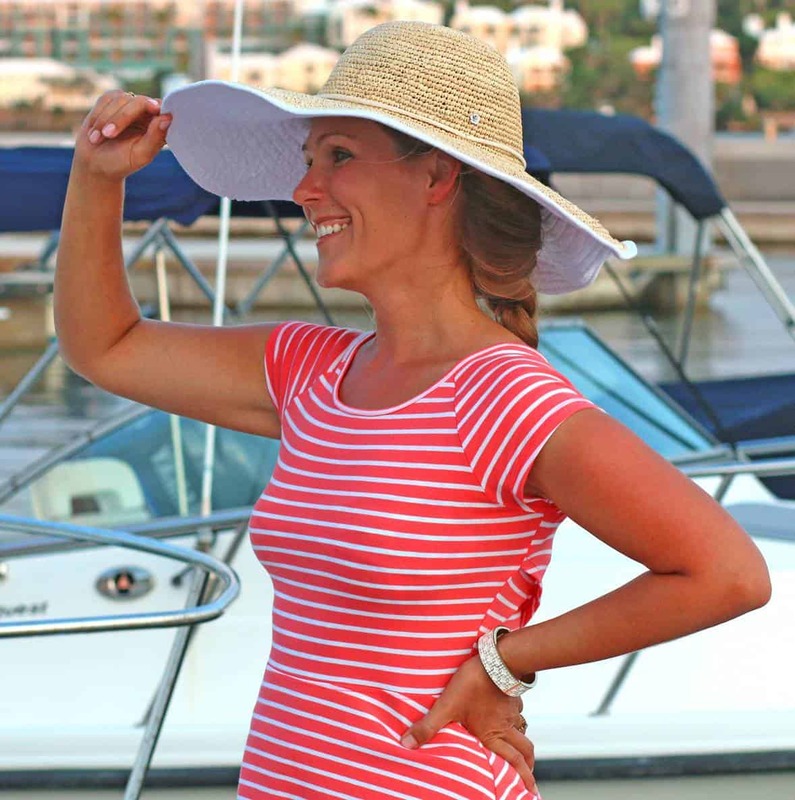 Awesome, Jennifer! Between making falafel and endless supplies of hummus (my kids have become hummus fiends) I’ve been going through garbanzo beans like there’s no tomorrow, lol :) So glad you enjoyed these, thank you! Tried the falafel recipe today and it was delicious. Served it with tzatziki sauce, Very good eats. It was so quick and easy to make after waiting 3 weeks for the preserved lemons which were awesome! Fantastic, Paula, thanks so much for the feedback! PS…the preserved lemons turned out beautifully! I tried to buy some at the store and they looked nothing like the fresh. Thank you for the recipe! Awesome! Agreed, the store-bought ones can’t hold a candle to the fresh homemade ones.